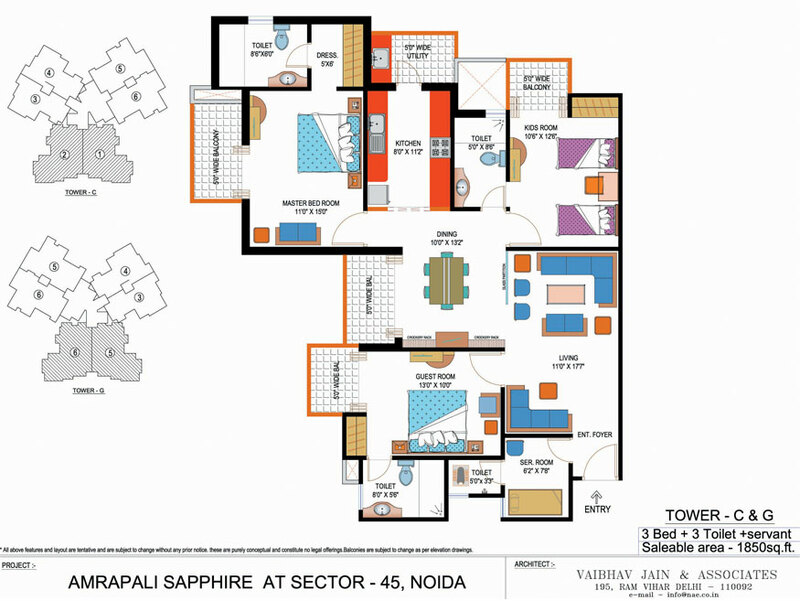 AMRAPALI SAPPHIRE is hot destination for luxury living at the key location of Noida Sector 45. The project is surrounding with lush of greeneries, which will always provide you fresh air and stress free life. Due to green environment project is pollution free and safe for healthy living. You can enjoy beautiful view of green environment from your balconies and enjoy blow of fresh air. The flats in this project are safe and secure for living because advanced security system has fitted in every place. You can enjoy high standard of living in this project with best facilities at affordable price. 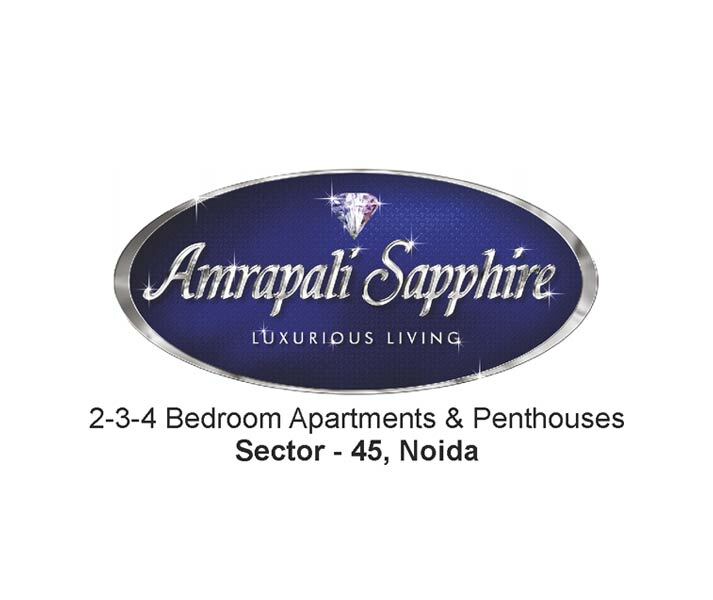 By taking legacy to the next level, Amrapali Group has again launched a furnished housing project named Amrapali Sapphire for its esteemed clients. The project is based in the prime location of sector-45, Noida that is known as a business hub of India. The project encompasses well-constructed apartments in 2 and 3 BHK. Every villa possesses elegant design, robust construction, and stunning interior to cherish. 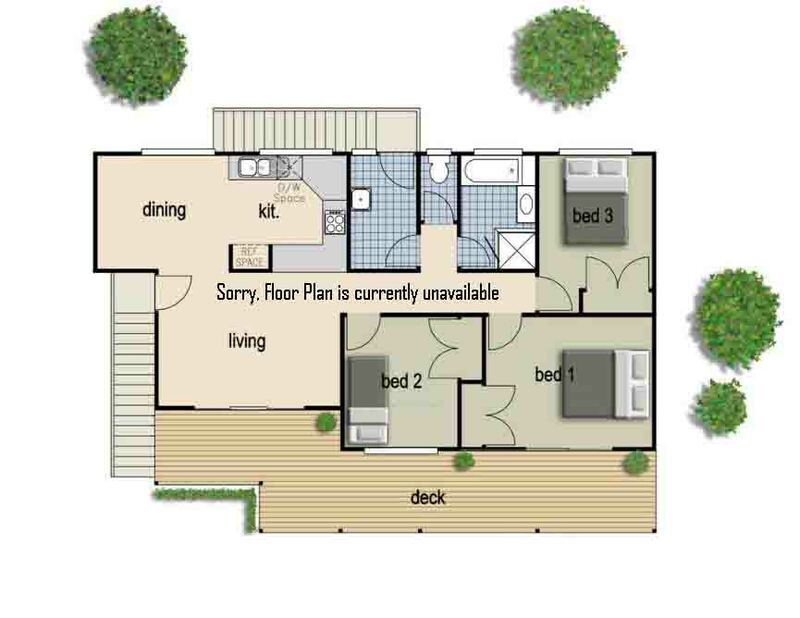 The size of each villa may range between 1140 sq. ft to 1850 sq. ft. Besides, building includes 1200 units to sell and has 17 floors as well. 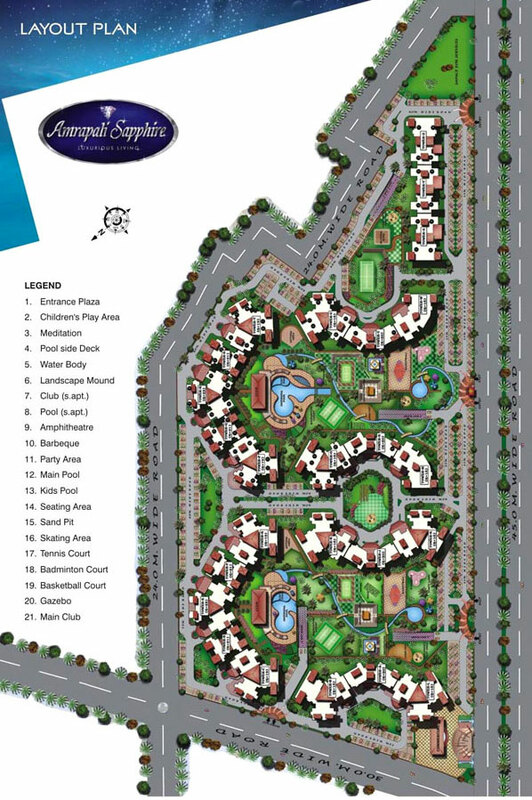 Moreover, the project cover land area upto 12.5 acres that is full of nature and is a right place to live with family. 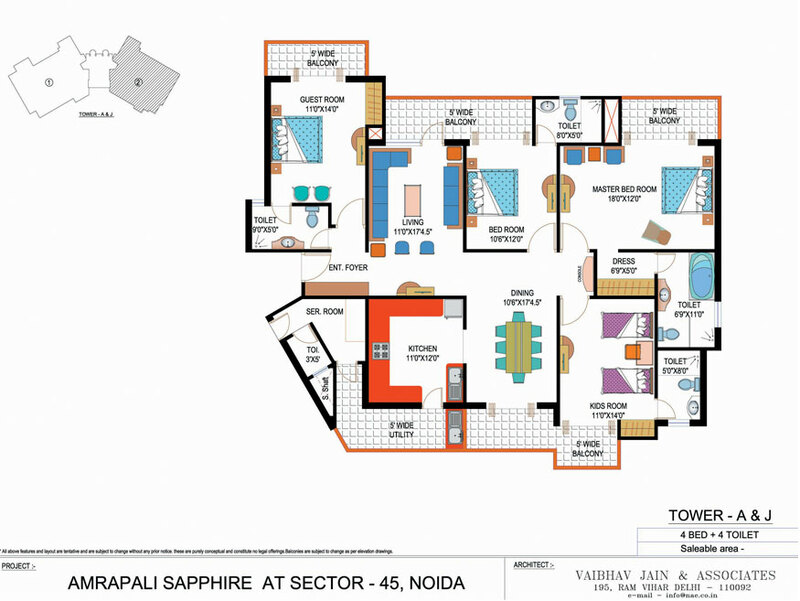 Being a ready to move plan, Amrapali Sapphire, is an optimum project to buy home and start living easily. 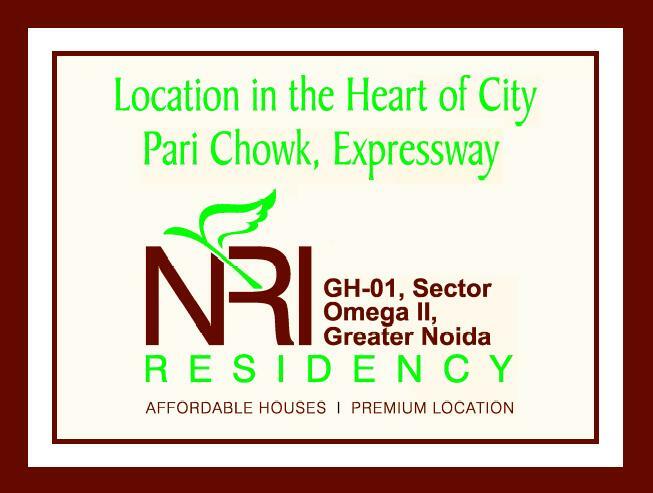 Besides, the project site is located nearby FNG Expressway and connects well with NH-24 and Dadri main road too. Moreover, the project location gives easy accesses to nearest hospital, mall, metro station, school, college, etc. Apart from that, you will find best-in-class amenities in the project such as landscape garden, parking, gym, club house, water supply, kids’ play ground, tennis court and many more. With such benefits, it seems a good housing project to book home and live life happily. 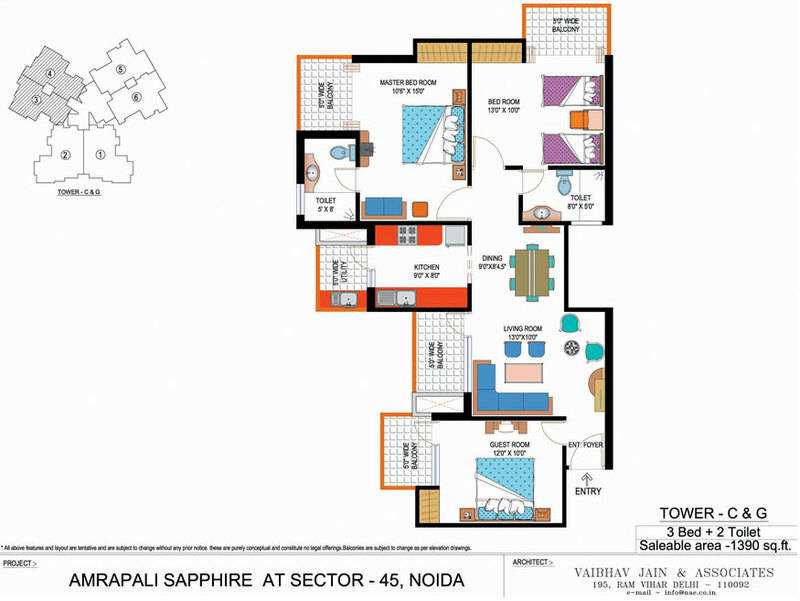 Sector 45 Noida 3075 Sq.ft. Sector 45 Noida 2465 Sq.ft. Sector 45 Noida 1850 Sq.ft. 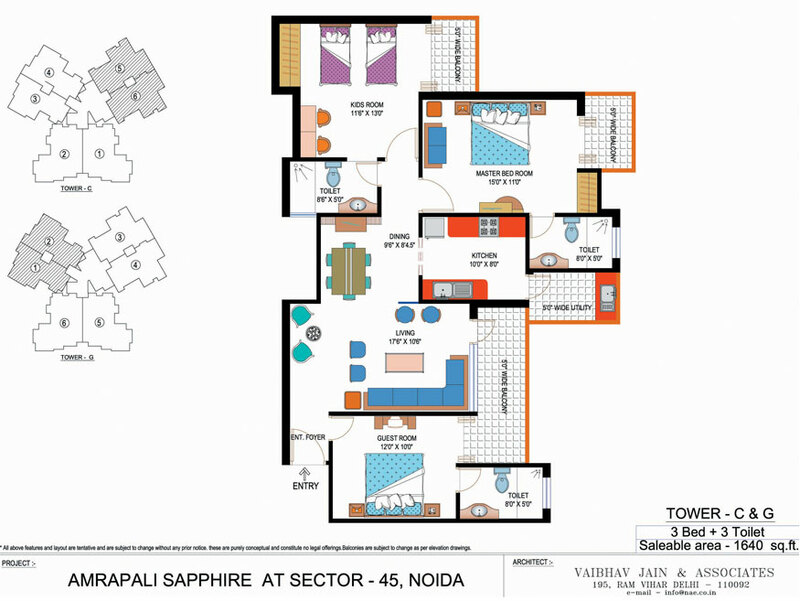 Sector 45 Noida 1640 Sq.ft. 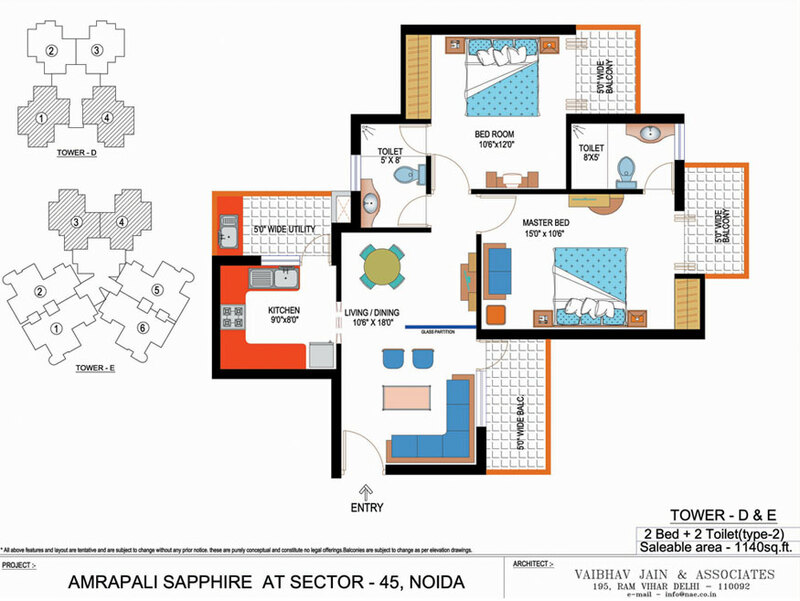 Sector 45 Noida 1140 Sq.ft. Sector 45 Noida 1295 - 2200 Sq.ft.